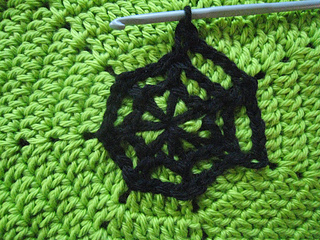 The MC background is crocheted first. 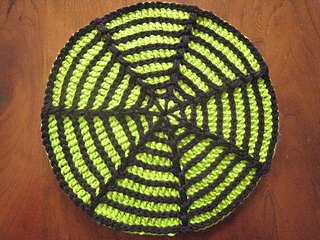 Then the CC web is applied using tambour (surface) crochet techniques including sl st (tambour ch st) and elongated sc. For this technique, the yarn is always held on the WS of the work and the hook on the RS. 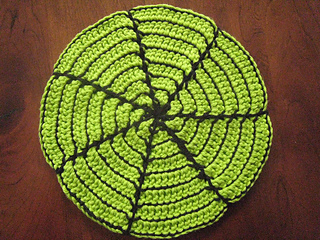 The sample is 8” in diameter. 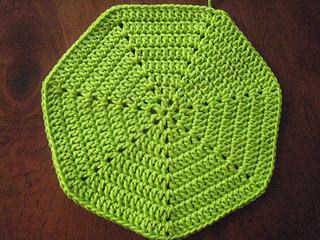 But, it is easy to make a smaller or larger coaster just by changing the number of rounds. The sample is in bright citrus and black. 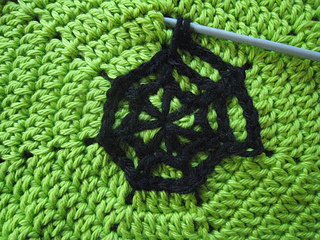 The gauge in the pattern itself is incomplete.